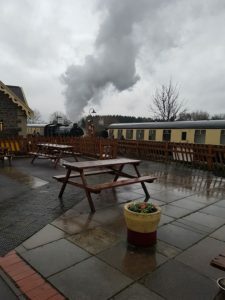 Mid December we hopped aboard the Santa special steam train at Avon Valley Railway in Bitton, for a festive trip. 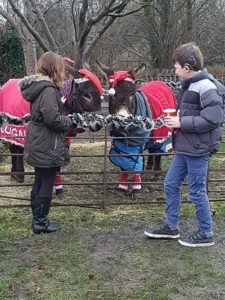 The weather was not nice, but that didn’t dampen our spirits as we were welcomed by two donkeys dressed in festive hats. 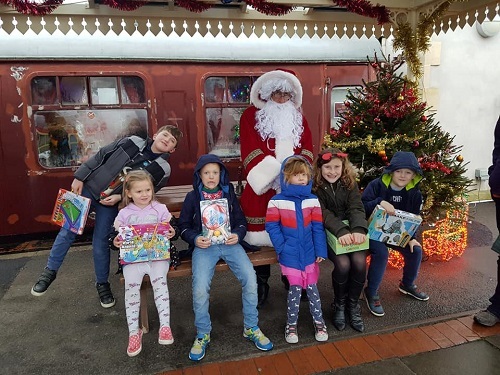 It was a lovely festive, family event, where we all received a mince pie or festive biscuit before Father Christmas came around, spoke to each child and gave them a gift. 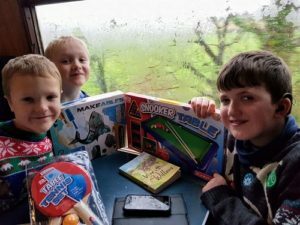 It was a lovely and enjoyable outing to get us into the festive spirit and all of us left with a smile on our faces.